8 Super Foods That Supports Healthy Fat Babies. Having a baby who looks fat healthy, certainly very fun. To support that, there are several types of super foods that can help make that happen. Baby's stomach is still very small, so the portion consumed is not much. Therefore, it is important to ensure that the food is rich in nutrients so that it can support its growth. Generally, infants have introduced food, or often called complementary foods breast milk, at the age of 6 months and over. Some of the principles for serving baby food are fresh, colorful, and have a variety of textures and flavors. Consultation with a doctor is necessary especially if the child has a history of allergies. These vegetables contain lots of fiber, folic acid, calcium and prevent cancer. Broccoli is a perfect experience to taste the first green vegetables for babies. 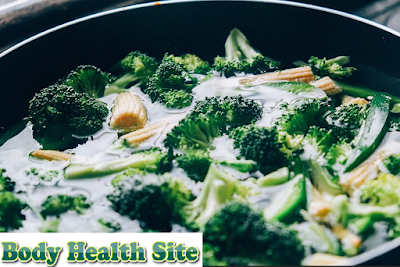 To consume broccoli, cut into small pieces and steam until soft or combine with cheese and cauliflower. Bananas are easy to carry and serve, besides the benefits of bananas are carbohydrates and fiber content is good for the body. For babies, choose a ripe banana. Bananas are recommended scraped and mashed for the baby. If the child is able to chew, cut into small pieces for easy consumption. Benefits of sweet potato come from its nutritional content that contains lots of vitamin C, fiber, potassium and antioxidants. It tastes sweet, makes babies love it. Can be served with pounded and steamed until cooked, so it becomes a puree full of nutrients for the baby. This fruit is rich in unsaturated fat, which is able to support brain development. The fat composition in the avocado is also similar to that of breast milk. In addition, avocados also contain high protein is good for infants to grow fat healthy. Serve the cooked and mashed avocado. However, do not give excessive avocado because the fruit can be quickly filling. In addition to having a sweet taste and attractive colors when presented to the baby, the content of beta-carotene in carrots greatly supports the development and vision of the baby. Carrots can be served with steaming until cooked, then mashed. Citrus rich in vitamin C will support bone growth, muscle formation, and other body tissues. This vitamin will also help the absorption of iron from other foods and keep the body fluids balance. Choose oranges with a sweet taste. Benefits of eggs, especially from the main content of protein, zinc, and various types of vitamins are important to support the growth of the baby. However, for infants who have potential allergic reactions, it is advisable to consult a doctor before giving it. Beef or chicken is a source of protein, iron, zinc, and various other nutrients. Make sure to smooth the meat while presenting for the baby. For presentation, meat can be mixed with mashed vegetables and breast milk. Babies are advised to get protein intake from meat regularly, to support its rapid development. In addition to attention to nutrition healthy obese baby, it is also important to always pay attention to the growth of flowers according to his age. 0 Response to "8 Super Foods That Supports Healthy Fat Babies"